A common misconception among financial advisors is that robo-advisor technology is the most disruptive force impacting the wealth management profession. While it’s true that automated, algorithmic-based services have altered the course of investment management, it pales in comparison to a more dynamic change that’s quickly picking up momentum: the rise of the elite female advisor. The world of finance has traditionally been a male dominated industry. 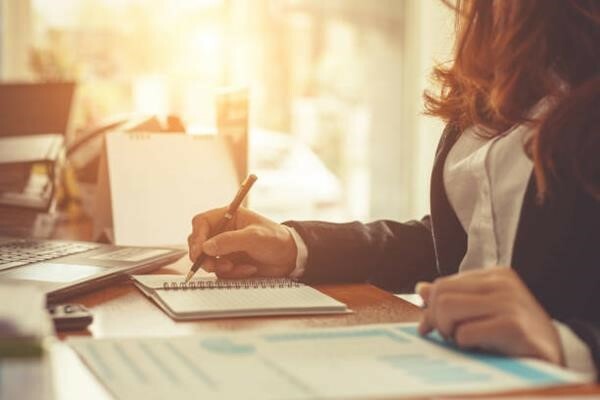 Women as both investors and advisors often took a backseat in the wealth management process, subjugated to secondary roles with men viewed as the primary decision-makers. Now, that’s all changing. Women are no longer just silent spouses or novice investment assistants. They have risen to prominent positions as professionals, business owners and entrepreneurs. Their numbers are vast and they have accumulated levels of significant wealth that not only rivals the assets of their male counterparts, but in many instances, exceeds it. The years ahead bode even more favorably for females as they become the primary beneficiaries of the next generational wealth transfer. The reasons why women were marginalized in the past by the wealth management profession have become the exact reasons why they are now being courted by investment firms and advisory teams. The stereotype that women do not possess the hard skills necessary to succeed in finance was never valid because there is zero difference in X and Y chromosomes specific to analytical aptitude. Where women gain the advantage is with softer skill sets. Women by nature embrace a more holistic view of life which is why it is no surprise that female advisors more easily covey the benefits of a holistic wealth management process. Their ability to empathize with the full spectrum of their client’s lives and not just their finances is the catalyst that helps them build, nurture and maintain long-term, mutually profitable client relationships. Investment firms and advisory teams are taking notice of the female advisor phenomenon.Gender diversity is no longer an option. It is mandatory for success in the new financial world and a woman’s point of view is no longer a novelty idea. It is a necessity. The law of supply and demand has tilted the odds strongly in favor of female advisors. The financial industry is still dominated by older males and a succession crisis is imminent with impending retirements creating large numbers of openings in the industry. Women currently in the profession and those seeking to gain entry will finds doors once closed now wide open with management applauding their arrival. The new environment will present an abundance of challenges and opportunities for females in the wealth management profession. How they respond to each will be watched and evaluated closely by the new generations of investors and especially women of wealth. The path forward for elite female advisors will be as successful as they are willing to prepare for it. Like this tip? We have developed a coaching program specifically tailored for highly-motivated female advisors seeking to advance and their performance and careers in the wealth management industry. Contact us today about our coaching programs.